As the daughter of first generation immigrants from Greece I am The American Dream. Although long lost, the passport photo depicting the wide-eyed look of terror in the eyes of my father will forever be ingrained in my memory. He and his seven siblings arrived at Ellis Island from a small remote village on Greece’s Peloponnesus. They took one passport picture; I have to wonder if they were too poor to take eight. Before they arrived in the US they hadn’t ventured beyond the boundaries of Kerkezi, their isolated bucolic village; although only miles from the crystal clear blue picturesque Aegean Sea, my father had never seen an open body of water. Although they left abject poverty during World War II, their adjustment to American life was not always easy. None of them spoke a word of English. 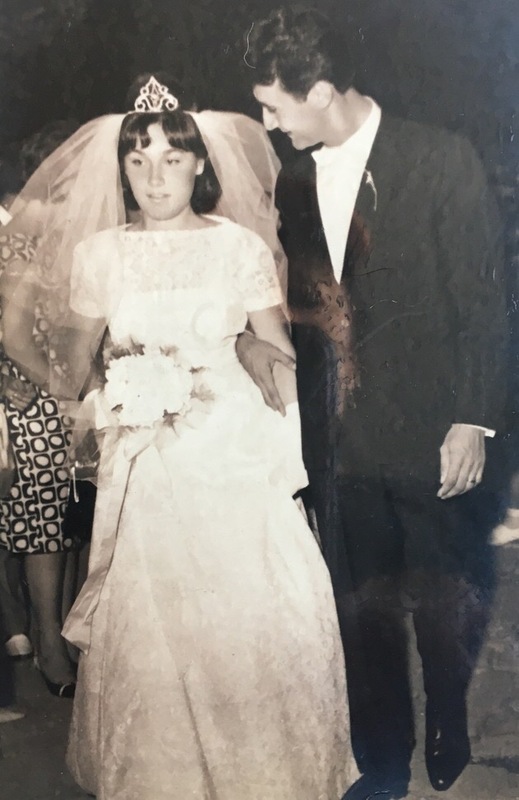 Unable to assimilate to the drastic lifestyle change, my grandmother took her own life just shy of her tenth year living in the U.S. Growing up, my sisters and I used to gather in my eldest sister’s bed at night as my father told us his “village” stories. We would lie together, mouths agape, eyes wide, mesmerized by the harrowing tales of his childhood during the war. When we wouldn’t finish our dinner at night, my father would convey to us what hunger felt like by telling us that as a child he would precipitously squeeze on their chickens to see if a premature egg would pop out. He described the eggs as soft, velvety and warm, melting in his mouth like a lighted toasted marshmallow. He would lick each finger clean and pray that these “golden” warm eggs would assuage his atavistic fear of hunger and the persistent rumble of his empty belly. Our favorite story of all, called “matches”, always began with a prelude of how we (girls) take for granted the smallest necessities which were of monumental importance to him as a child. His family cooked their evening meals with matches which required walking miles in the rugged terrain of the Peloponnesus. On one particular quest for fire, after losing a shoe, his journey became punctuated with bouts of pouring rain. The streams swelled as he struggled to make it to his destination. Hopping over rocks and ascending slippery slopes he finally arrived; filthy, scraped, cheeks seared red and icy cold; he was indefatigable. Despite bone-chilling cold and exhaustion, he requested the matches with alacrity, carefully placed them in his pocket, and began the long trek back to his village. As he reached the last 500 yards, one of the streams had swelled and widened. He furiously tried to hop across but slipped on the last green, mossy rock and fell into the water, soaking the box of matches. He hobbled home, filthy, exhausted, and with his one-shoed foot, he wept and lamented the fact that his family would not have a warm meal for days. In his primordial quest for fire, he failed. We listened, gobsmacked. My father was 12 years old when he arrived in the US; he swept floors at the local grocer and was eventually promoted to produce manager. He continued odd jobs to put himself through UC Berkeley, all the while sending money to his father who worked as a priest in Colorado. It was not always easy, his siblings were discomfited when other children hurled pejorative epithets of their family’s “weird” traditions. They were teased, they were bullied, but they remained grateful and proud to grow up Greek-American. My father ended up with 3 post graduate degrees, one of them a Ph.D., he eventually wrote a book about his family’s traumatic emigration to America. 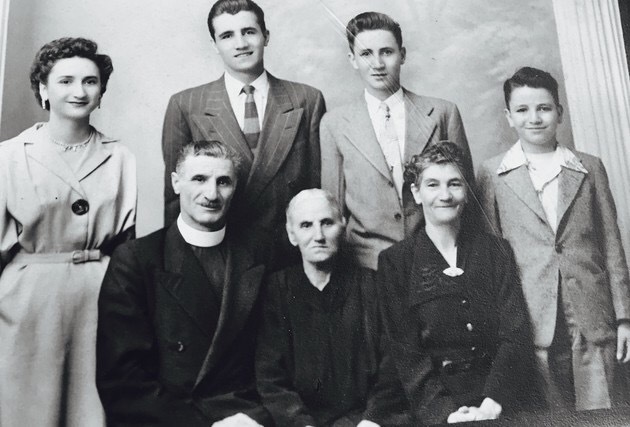 Despite coming from poverty, starvation, and neglect, they were optimistic for a better future in what they would forever refer to as “the greatest country.” My father returned to Greece in his late twenties and married my mother, a child bride of 19. She was not formally educated but successfully ran her own business, out-earning my father. We lived in a nice home, we took vacations, and college tuition was paid for. They had achieved The American Dream. Even as a young child, the great disparity between our idyllic childhood and his tumultuous was difficult for me to reconcile. My father’s stories gave me a unique sense of gratitude just to be American; ensconced in a life that was literally and figuratively thousands of miles away from his. Coming to America was not a choice for my father’s family; it was a means of survival. Freedom and opportunity, however, did come at a price. As months, years, and decades passed, the colorful fabric that made up their cultural traditions slowly began to fade to soft pastel shades; they all yearned for that part of them that died when they embarked on that long journey across the ocean. My mother always told me that there is no greater heartbreak than that of being torn between the love of two countries. When I see the wide-eyed terror in the eyes of these children, I cannot look away because in their eyes I see a part of my very own history. As Americans, we bear the burden of being “The Shining City” on the hill. We are bestowed with the greatest responsibility— because we hold these truths to be self-evident, that all men are created equal, that they are endowed by their Creator with certain inalienable rights. My hope is that as Americans, we work together, both at home and abroad, to bestow these immutable basic human rights to life, liberty, and the pursuit of happiness to all of those wide-eyed children in need across the globe.